Mr. Blanco began teaching in Northern Colorado in 2005. He is a Colorado State University alumnus and holds a bachelor’s degree in history and secondary education. He will receive his master’s in educational leadership in May, 2018. Born and raised in Northern Colorado, he enlisted in the Marine Corps after high school and served for four years both stateside and abroad. He and his wife, Susan, have two children, both are students at Saint Joseph’s. 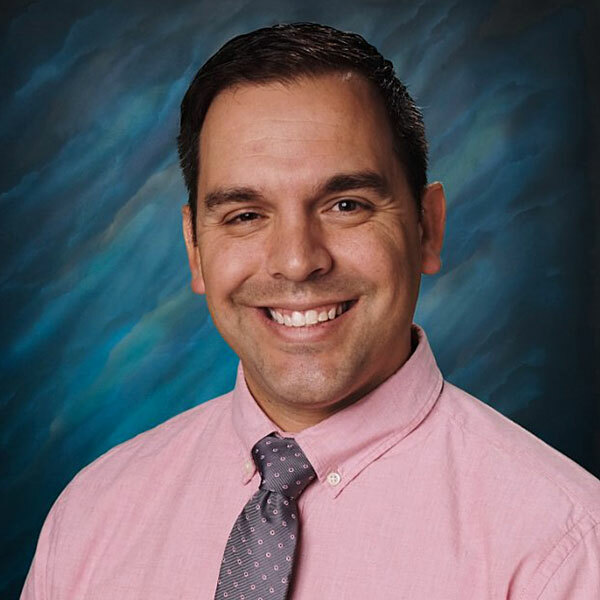 As principal, a former teacher, and parent, Mr. Blanco respects the academic rigor of Saint Joseph Catholic School as well as the supportive community of staff, students and parents. Mr. Blanco has coached various sports, from high school to coaching young kids in baseball, soccer, and basketball. In his free time, he likes to fly-fish and tie his own flies. He and his family are members of Our Lady of the Valley Parish in Windsor, Colorado.